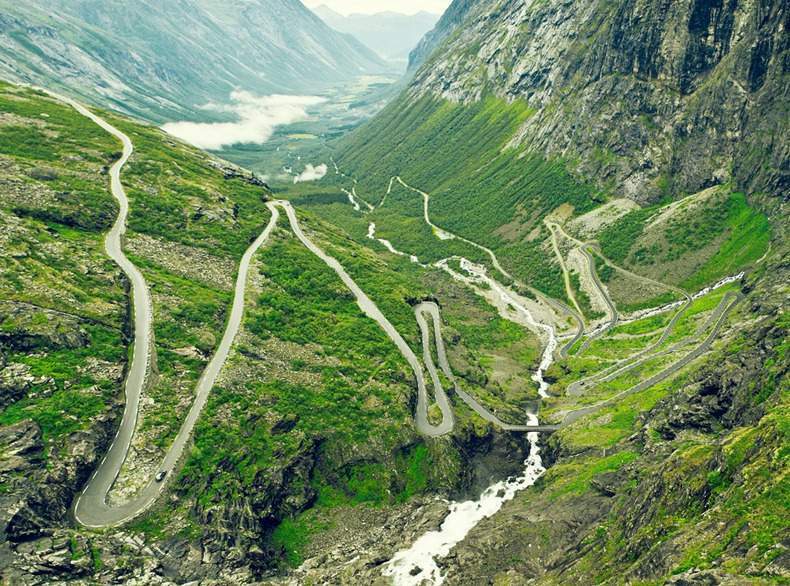 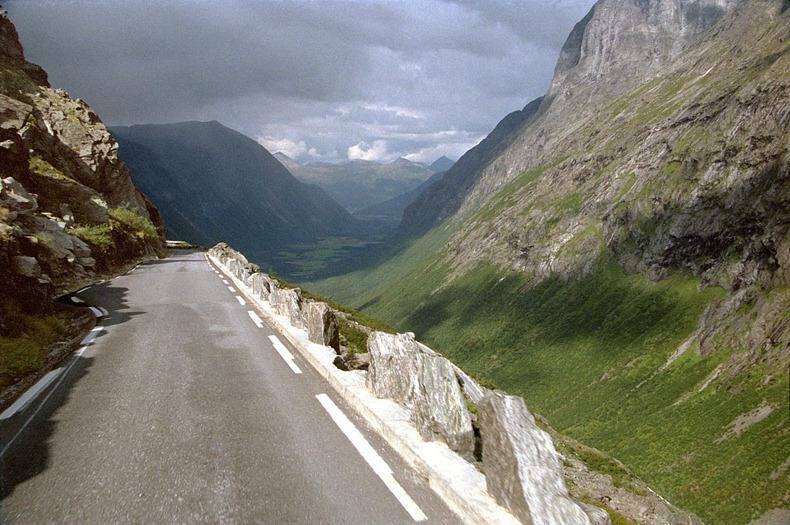 Trollstigen is one of the most dramatic mountain roads in Norway. 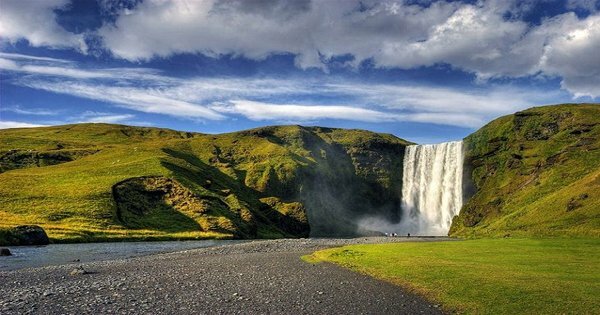 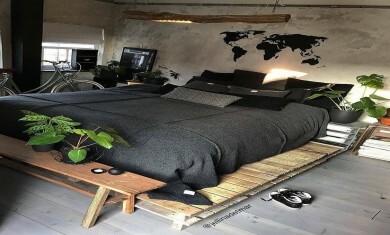 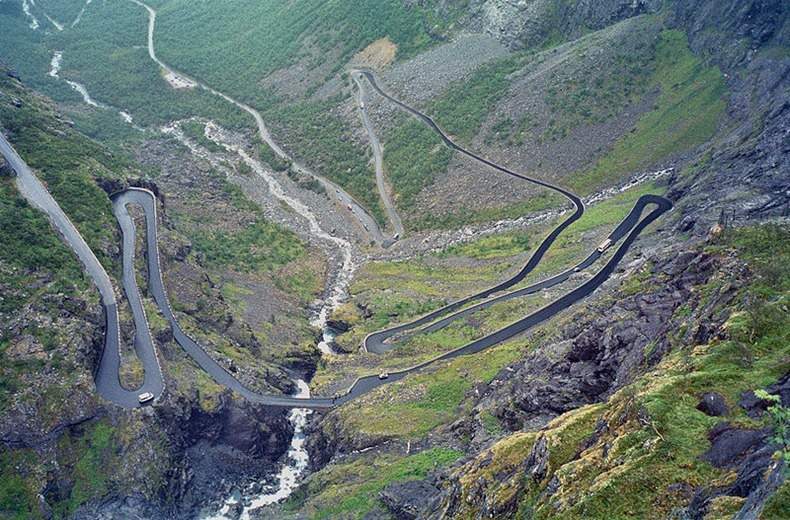 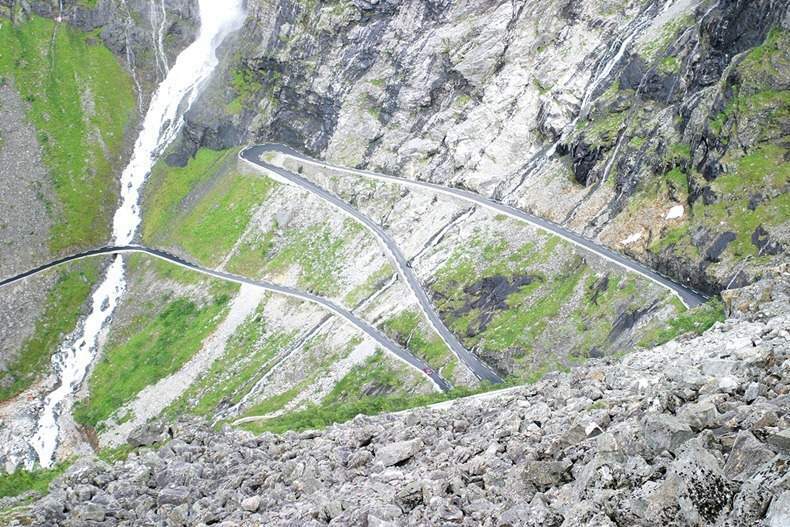 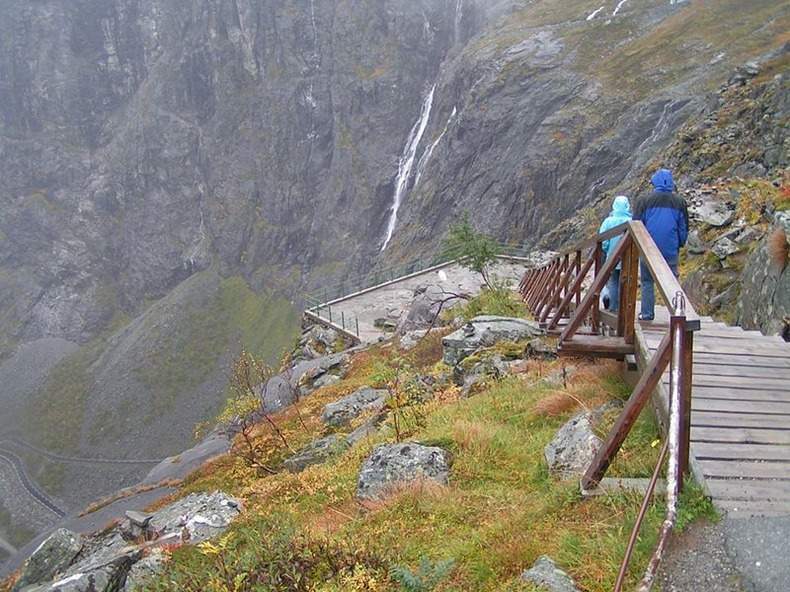 It is located approximately 15 kilometers south of Åndalsnes in the county of Romsdal, and has a steep incline of 9 percent with 11 hairpin bends as it snakes its way along the steep mountainside to Stigrøra, 858 meters above sea level. 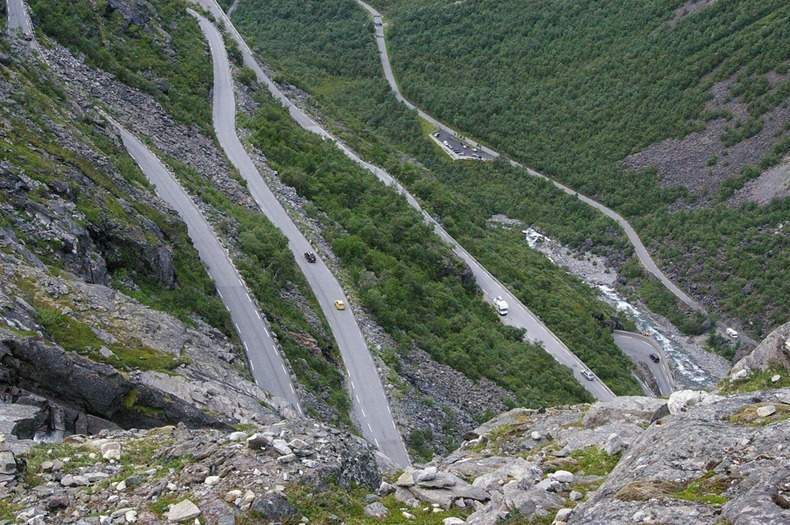 Because of the sharp turns and narrow width vehicles over 12.4 meters long are prohibited from driving the road.